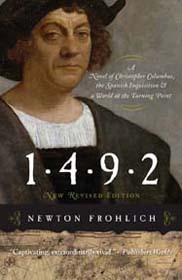 The new edition of Newton Frohlich’s celebrated historical novel 1492: A Novel of Christopher Columbus, the Spanish Inquisition, and a World at the Turning Point is in stores now! 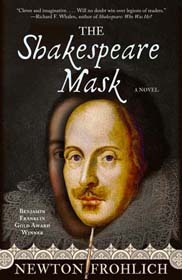 In his critically acclaimed novel, award-winning author Newton Frohlich invites readers to immerse themselves in a tale far more complex, far-reaching, and extraordinary than the popular narrative of a courageous Italian sailor who knelt before the queen of Spain and made a daring journey to the West. 1492 separates the facts from the myths surrounding the voyage of Columbus and reveals little-known personal details about Columbus, including his complex relationships with both Christians and Jews, and why he felt compelled to hide his true identity and background. A vivid tapestry of passion and political intrigue, 1492 provides a new and illuminating window into a crucial moment in world history—with sobering parallels to today. 1492 has not only received rave reviews as a great read, but it’s a very timely work with direct parallels between the conflict of Muslims, Jews, and Christians during the 1400’s and today.